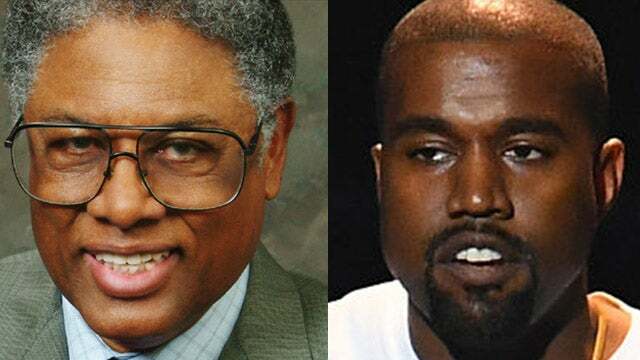 Kanye West Quotes Dr. Sowell! 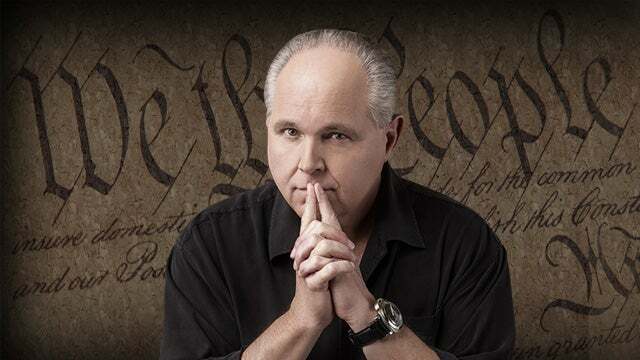 RUSH: Ladies and gentlemen, Kanye West — I never thought I’d be saying this — is starting to tweet some really fascinating things. He’s now quoting Dr. Thomas Sowell in his tweets. RUSH: As is always the case, folks, there are other things out there that I want to get into, and I’ve alluded to one of them. 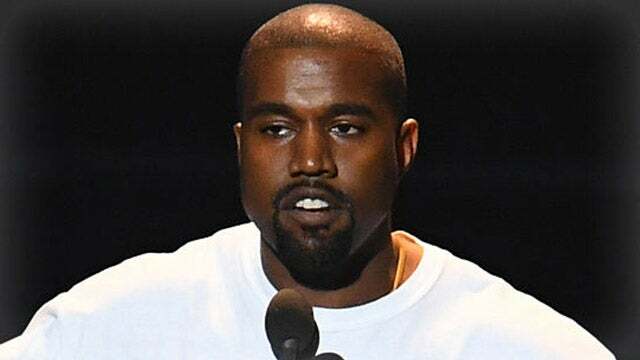 Kanye West and some of the things that he is tweeting, which have led to both Maxine Waters telling him to shut up or else and the Crips have practically threatened to put a hit out on Kanye West. RUSH: Kanye West. Let me get to this before too much time goes by. Kanye West yesterday at about 20 minutes after 1 p.m., tweeted the following. As you know, Kanye West has been tweeting about the idea that African-Americans need to start thinking for themselves. They need to remove themselves from the Democrat Party and its clutches. And he has been tweeting that the Democrat hasn’t really done anything for black people, and that it’s time for black people to start taking care of themselves, thinking for themselves. They don’t all have to sound alike, don’t all have to say the same things, don’t all have to think alike. And he has been catching grief from all of the usual leftist quarters. Yesterday afternoon at 1:20 in a continuation of that theme, he tweeted this: “[W]e’re opening up the conversation to the psychologists sociologists and philosophers of the world and we’re moving away from infiltrating the youth and using them as a tool to create a cult following based off of a desire to fit in people have their own voice.” [sic] Folks, I read that, and I have to tell you: He is so right on with this; I don’t know if he even knows how right on he is. I was shocked and stunned when I read this, how right on the money it is. It is another way of saying what I have long complained about or warned about with social media and the internet about how it is psychologically destroying young people with the worst kind of peer pressure you can imagine. It’s creating a desire for fame and a desire to be known and a desire for a life that television presents celebrities live. That every night is a red carpet opening somewhere. That every night is everybody wanting to take your picture. That every night is everybody wanting you to be where they are. That every night is hobnobbing with fellow stars and that every night is the result of you having all the money you could possibly want. You have it all! You have fame, you have attention, you have money, you get to go to parties. This is what social media popularizes in covering celebrities, the entertainment networks on TV and on the internet. That’s how celebrities are presented because these journalists want access to them. And the journalists want to be invited to the same parties so they can cover what goes on at these things. So people get on social media; they start lying about how exciting their lives are and who their friends are and all this. And it makes people feel inadequate because they’re not living lives like that and it creates all kinds of psychological problems. So then those people will do whatever’s necessary to fit in with whoever it is they think is hip and having a great life, having a great time — and Kanye West has just spelled out the danger of this. “[W]e’re opening up the conversation to the psychologists sociologists and philosophers of the world and we’re moving away from infiltrating the youth and using them as a tool to create a cult following based off of a desire to fit in…” (chucking) This is so right on the money, and his point is that all of this is being done to further a political cult following. That’s what he means. The political cult following is of the Democrat Party, of liberalism, of looking at things with a leftward tilt. Let me read it to you again with that understanding. “[W]e’re opening up the conversation,” meaning: We’re breaking away from the cult. “[W]e’re opening up the conversation to the psychologists sociologists and philosophers of the world,” meaning: We’re gonna get some input here from people we have not been listening to. We’re moving away from creating a bunch of mind-numbed robots who become a cult following based on the simple desire to “fit in.” We’re gonna blow that model up, meaning: You can get people to do whatever you want if you promise them they’re gonna be hip, they’re gonna be cool, they’re gonna be included in whatever the cool people are doing. And he wraps it up, “[P]eople have their own voice.” So what he’s saying is that he is at the forefront of a movement that is designed to get people out of groupthink, essentially — and in so doing, he is painting one of the biggest bull’s-eyes on himself that he could paint. But he’s not finished. He’s now tweeting thoughts from Dr. Thomas Sowell. You know, Thomas Sowell has written newspaper columns for years, and every now and again he’ll have a “Random Thoughts” column where he just… The column is made up of one- and two-line thoughts and opinions on current events. And for Thomas Sowell to be known by Kanye West and then to be promoted — folks, there are people — I’m one of them — who have been trying to get the words of Dr. Sowell to African-Americans all over this country for the express purpose of educating them and liberating them from the groupthink and the stagnant existence that is theirs because they are loyal Democrats. For Kanye West to join the battle, this is not an insignificant thing. And he tweeted all that out. He tweeted it out to 27 million followers on Twitter or Facebook or whatever. I guarantee you they’ve never seen anything like this. They’ve never been exposed to anything like this. And this is causing the beginnings of a gigantic ripple in the giant pond of the Democrat Party. So Kanye is now talking out of turn. This is not cool. This is very dangerous. Kanye is talking out of turn. He is deviating from the orthodoxy. Now a former member of Snoop Dogg’s rap entourage is calling for gang members to assault Kanye West for his recent support of Donald Trump. Daz Dillinger, who recorded several successful hip-hop records as part of the Dogg Pound duo in the ’90s made the apparent threat in a video posted to his Instagram, which was later removed. “Yo national alert, all the Crips out there, y’all [go out and mess] Kanye up,” Referring to the Crips, the infamous Los Angeles-area street gang, which also has some members in the NFL. I’m just kidding. I got in trouble for that one day. Just kidding. But the Crips is a legit street gang, and this guy from Snoop Dogg’s gang is asking them to all go out and mess Kanye up. Now, Dillinger, real name is Delmar Drew Arnaud, is warning Kanye to stay out of Long Beach, stay out of California, even though Kanye and the Kardashians live in Calabasas, northwest San Fernando Valley. “Better not ever see you in concert. Better not ever see you around the LBC. Better not ever see you around California,” he says in the video. “Stay in Calabasas, ya hear me? ‘Cuz we got a Crip alert for Kanye.” And in the message reading, “Mess Kanye up,” except it’s not “mess.” It’s the F-bomb. “Mess Kanye up,” was also posted on Dillinger’s verified Twitter account. I wonder if this Dillinger guy is gonna end up being banned from Twitter. Ha-ha. I’m whistling Dixie, I know that. This guy will not be banned from Twitter. But now, ladies and gentlemen, it has now spread to Reggie Bush. Reggie Bush, the former star at USC and in the NFL has gone and gotten conservative on Twitter. Something about the Kardashians may be causing this ’cause Reggie Bush used to date Kim Kardashian before Kanye came along. Now, I don’t want to make too much of this. But it hasn’t happened. As I say, there have been all kinds of efforts underway to force this kind of thinking into the mainstream African-American community. Jack Kemp had his enterprise zone ideas and other people have done it. There have been people like Candace Owens over the last number of decades. There have been renegades who have gone public. Some NFL players have. Burgess Owens from the Washington Redskins, he’s fabulous, but it’s not ever found its way outside of conservative media where these people go public. This is finding its way in the belly of the beast, and Maxine Waters actually has tweeted twice about Kanye now and the Crips putting essentially a hit out on the guy. As I say, don’t want to make too much about it. But the only reason this is happening is Donald Trump, folks. There isn’t any other Republican president that would be inspiring this kind of thing. Just saying. RUSH: Now, Mr. Snerdley, during the break, just sent me a Kanye West Twitter feed. 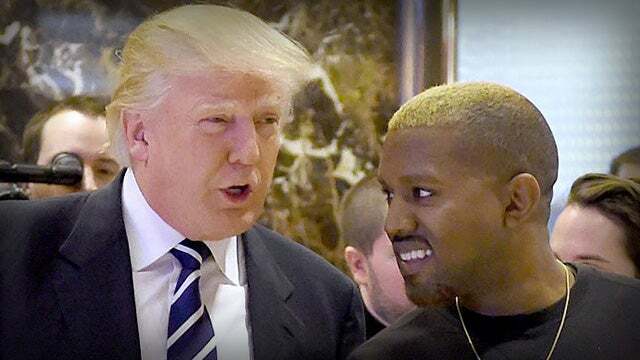 Snerdley is convinced that Kanye may be secretly listening here, because about two weeks ago, 10 days ago Kanye tweeted: “If you want to see the true character of a person, watch the way they treat someone who can’t do anything for them.” Of course, this is a signature philosophical quote of mine. I said it the same day. We had done gone back and checked the transcript. I said it that very day. And there’s a tweet underneath Kanye’s from somebody — well, I’m not gonna name ’em. And the tweet, “Mega dittos, Yeezy,” and then they quote from my transcript that day, encouraging Kanye to keep going. Okay, so that’s that.